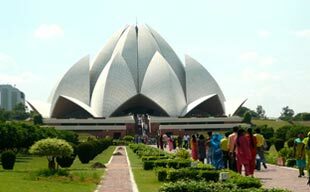 in India is the best way to explore numerous sights and views of three cities that are almost synonymous with the glory of India. The tour begins from the exploration of Delhi, the capital of India which is dipped in delightful cuisines and culture, marvelous monuments and traditional heritage. From Delhi, the tour moves to Agra, the amorous expression of love in the form of Taj Mahal, an ode par excellence and Fatehpur Sikri, the ghost town. 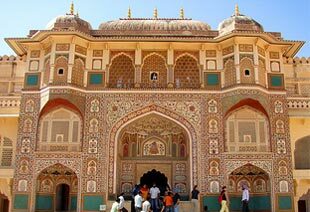 The tour furthers towards Jaipur where jovial sights of luxurious forts, elaborate monuments and royal culture overwhelm the visitor. Truly, Glimpses of Golden Triangle is a gorgeous way to explore India the very first time. Arrive by a morning Flight On arrival Sightseeing of Delhi Visit to India Gate. It's a 42 metre high, free standing arch, popularly known as India Gate. It was designed by Lutyens and built in 1931.It was originally called All India War Memorial in memory of the 90,000 soldiers of the Indian Army who died in the First World War. Akshardham Temple one of the most recently built temples in Delhi. Then proceed for Agra. On arrival check into Hotel Overnight stay at the Hotel. After Breakfast Sightseeing of Agra Visiting the Taj Mahal with its' speculative view at the time of Sunrise. Taj Mahal one of the Seven Wonders of the World and surely the most extravagant expression of love ever created. Later visit to the Agra Fort from where one can get the most moving view of the Taj from the little octagonal tower in the Agra Fort, which lies, across the river Yamuna. Proceed for Jaipur, Enroute visit to Fatehpur Sikri, a masterpiece in sandstone with stunning elegance of its palaces & courts. On arrival Jaipur Check into Hotel. Overnight stay at the Hotel. In the morning visit the Hawa Mahal or the Palace of winds to take a photo, hawa mahal was constructed for the Royal ladies to watch the royal processions without being seen. Then explore the city with an excursion to Amber Fort which is the classic Romantic Rajasthani Fort Palace. Then visit city palace & central museum which is known for its bland of Rajasthani and Mughal architecture. Latter back to Delhi.